What a fabulous little kitten!! What a fabulous little kitten! Sylvia was so welcoming and accommodating and you really can tell the difference between someone who sells their kittens for the money and someone who checks that the kitten is suitable for the family first. 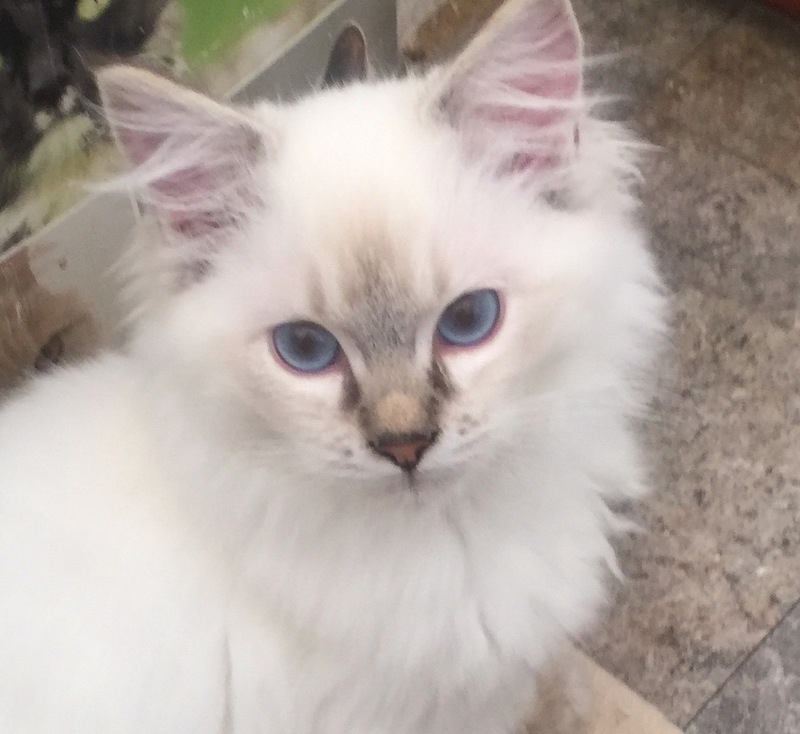 Fantastic experience with Snowpoms Ragdolls from initial enquiry to collecting my to beautiful kittens. Sylvia regularly updated me with their progress with beautiful photos of them with their siblings. Both my kittens have fantastic natures and are prefect additions to my family. Sylvia has also been incredibly supportive after taking my kittens home with advice in the early few weeks. Sylvia is warm and friendly, she is very helpful and her cats are devine, my girl is a bundle of joy. Sylvia and her fur babies are amazing! Had no troubles at all, the kittys live in a safe and clean environment, was able to visit whenever I wished. Sylvia is a hreat personality and cares greatly for her furry babies! Lovely and friendly Ragdoll breeder. Lovely and friendly Ragdoll breeder, knows so much about them. Amazing pedigree Ragdolls, extremely friendly and social. Well worth the money! Would highly recommend Sylvia and her Snowpoms Ragdoll cats. Excellent breeder, beautiful kittens in both looks and character. Alway happy to advise and answer any questions throughout the cats life's, highly recommended.